Before then, the Model Y will debut on March 14. Elon Musk recently confirmed that we don’t have long to wait for the Model Y to arrive, as the electric crossover is debuting next week on March 14. That will leave the automaker’s upcoming electric pickup truck as the only announced Tesla model that hasn’t debuted yet. Testing of the Tesla Truck appears to be underway, as a Reddit user recently spotted what appears to be a test mule being carried on a transporter with another Tesla. Contrary to Musk's comments, the design looks rather sedate, so we're likely looking at an early test mule that appears to be based on an F-150. So far, Tesla has only released a single teaser image of its upcoming pickup back in 2017 during the reveal event for the Tesla Semi and the second-generation Tesla Roadster. The teaser showed a massive Tesla pickup that could fit a Ford F-Series pickup in the bed, but it remains to be seen if the road-going model will be this large. 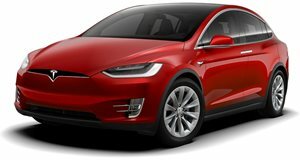 While we now have confirmation the Tesla pickup will debut later this year, it will most likely be a prototype rather than a production model. The exterior and interior styling of the prototype should be mostly identical to the production model, but there could still be a few changes by the time it enters production. Since the Tesla Truck was teased, US startup Rivian has already set the standard for electric pickup trucks with the R1T prototype that debuted at the LA Auto Show with a 400-mile range and four electric motors delivering a combined output of 754 hp and 826 lb-ft of torque. We'll have to wait and see how the Tesla pickup compares later this year.